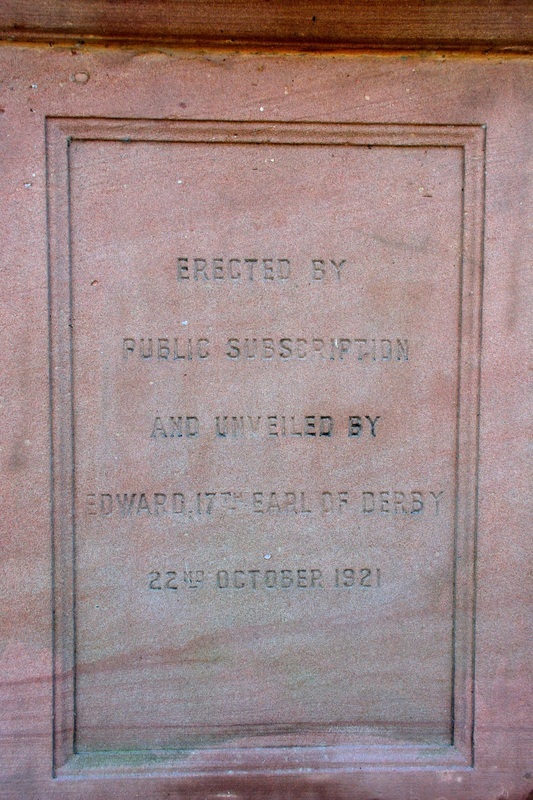 The Cenotaph in Warrington Road, Rainhill was erected by public subscription and unveiled on Saturday 22nd October 1921 by Edward, the Right Hon. 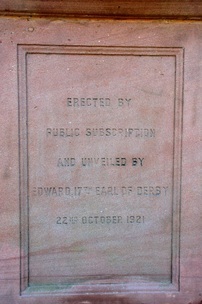 The Earl of Derby. 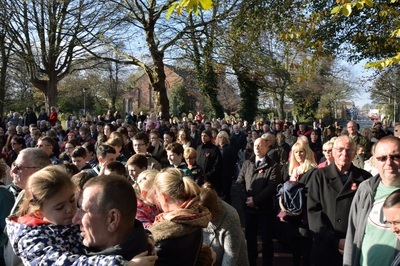 In his address to the assembled company he said that "one lesson might be learnt from the sacrifice of the men whose names were commemorated - they had suffered and died without heed to any differences in religion or any other matters which divided us in our home life : they thought only of doing their duty to their country". 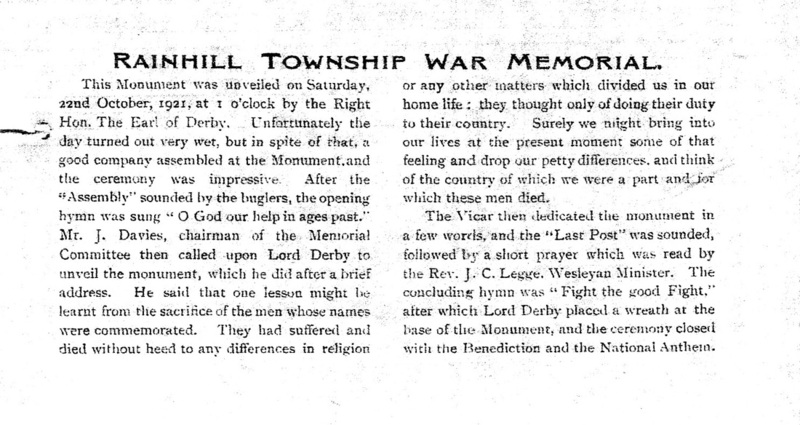 This article was published in the Parish Magazine in 1921. The vicar mentioned was the Rev. W.G. 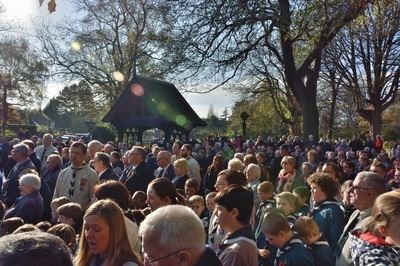 Swanson. 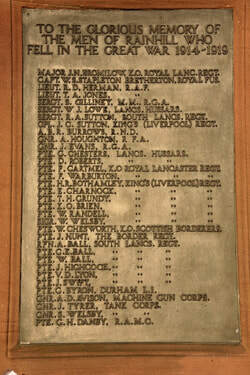 The memorial lists the names of 34 soldiers from Rainhill who gave their lives in the Great War of 1914-1918. 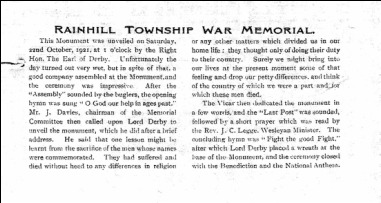 The names of the remaining 19 casualties can be found either on the other memorials and/or on graves in the local churchyards. 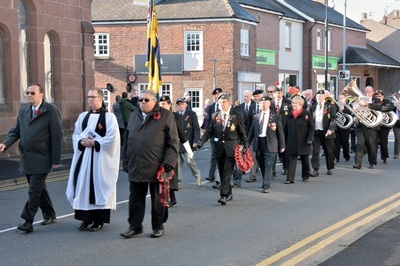 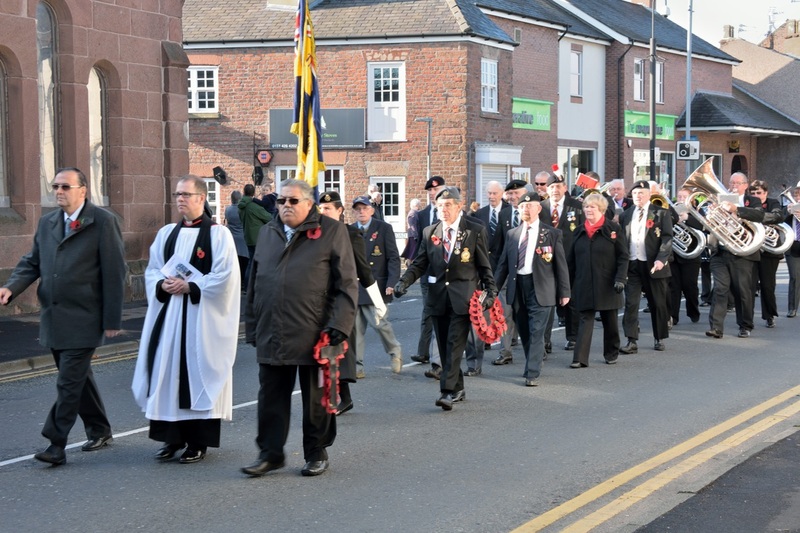 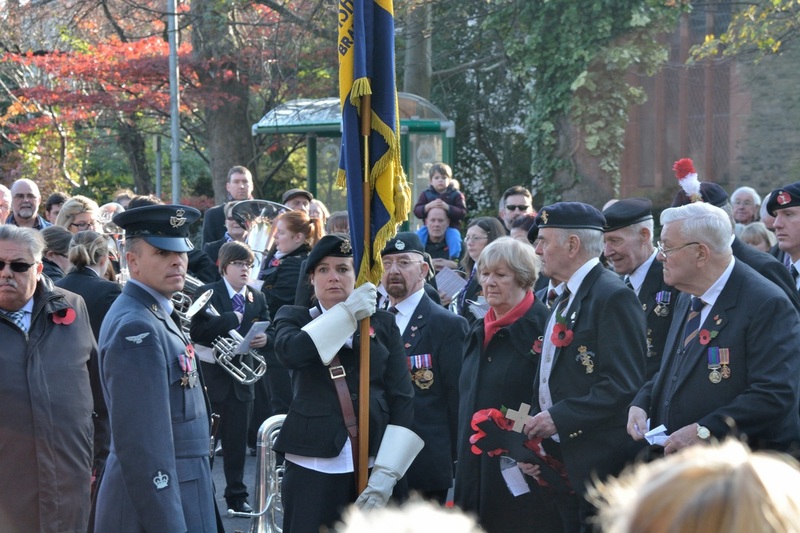 Remembrance Sunday 2014 saw the centenary of the start of the Great War and whilst Rainhill commemorated the day in its usual manner, villagers no doubt with the recent WW1 Exhibition still in mind, turned out in their hundreds to recognise the event. 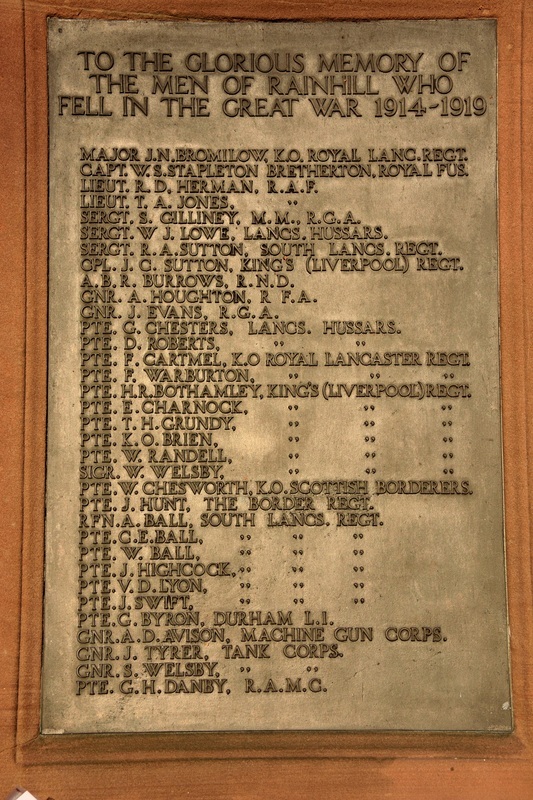 It should be noted that the Cenotaph also shows the names of 43 casualties from the 1939 - 1945 war and one casualty from a conflict in the Gulf in 2004.